Honda Aircraft Company announced that it has expanded sales of the HondaJet to India with the appointment of Arrow Aircraft Sales and Charters Pvt. Ltd. as an authorized sales representative based in New Delhi. 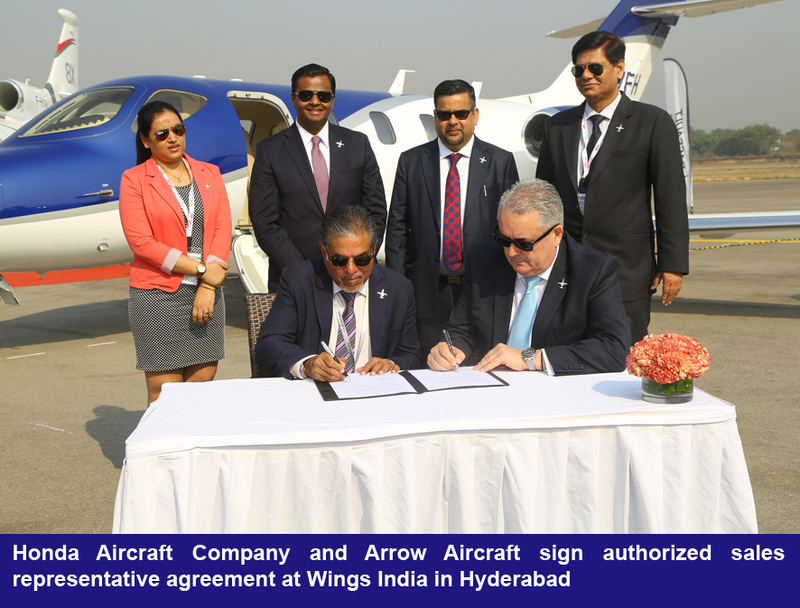 Honda Aircraft made the announcement at Begumpet Airport during Wings India, where the HondaJet is making its first-ever appearance. Honda Aircraft has established a worldwide dealer and authorized sales network to provide unsurpassed service and support for HondaJet customers. The HondaJet authorized network spans territories in North America, Latin America, Europe and Asia. The HondaJet is an advanced light jet which incorporates many technological innovations in aeronautical design and it was the most delivered jet in its category in 2017. Next Next post: 10,000+ women take the road safety pledge with Honda this International Women’s Day!